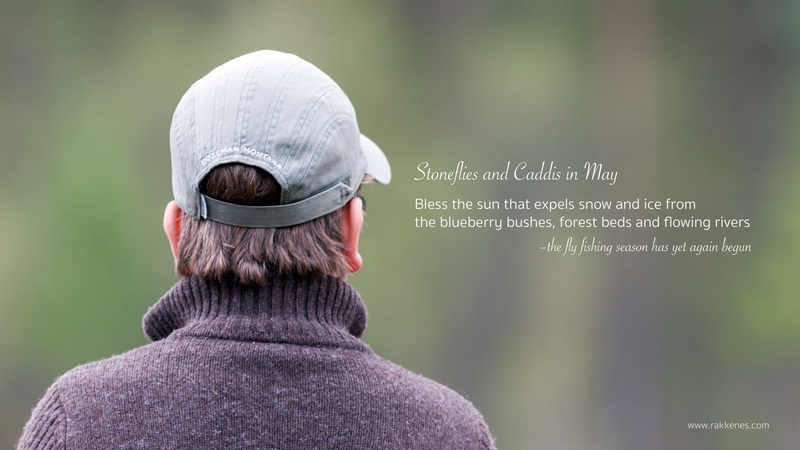 Bless the sun that expels snow and ice from the blueberry bushes, forest beds and flowing rivers. Yet again nature comes to life. 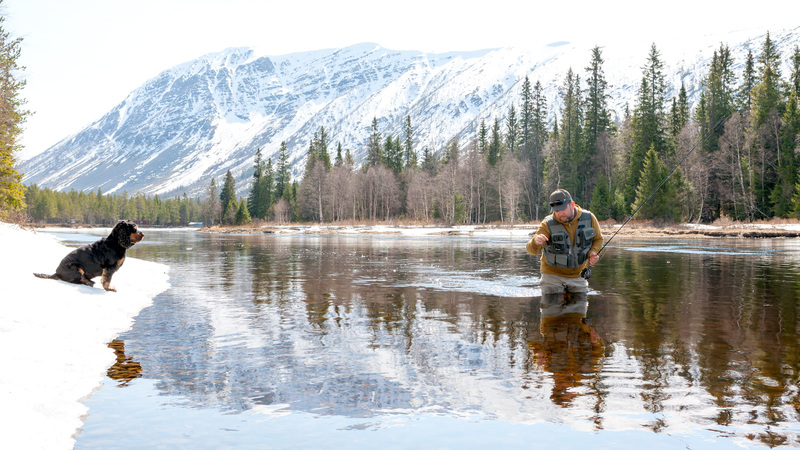 And with it, the fly fisherman awakens with the leafing of the birch. 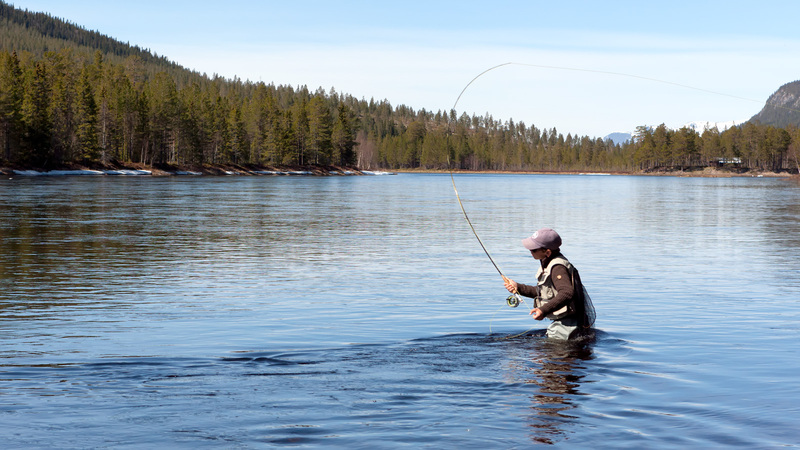 Hallelujah the fly fishing season has started! 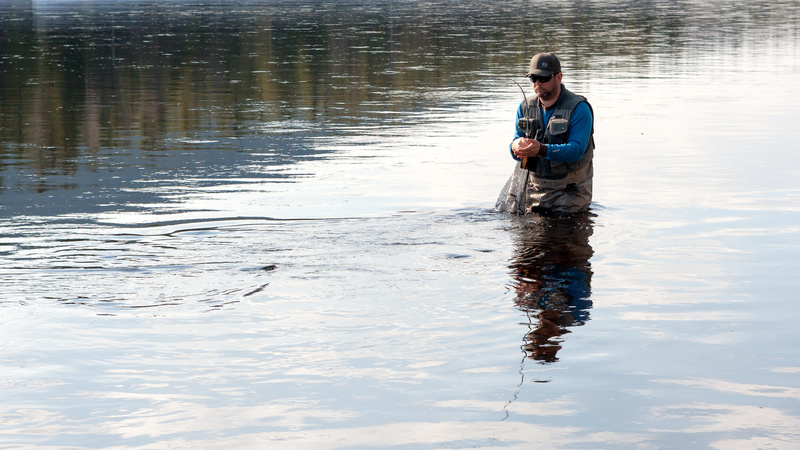 I visit my rivers like a river keeper throughout the year. I know exactly what the water levels are, how they’re doing and what to expect next. I live with them and think I understand their cycle. 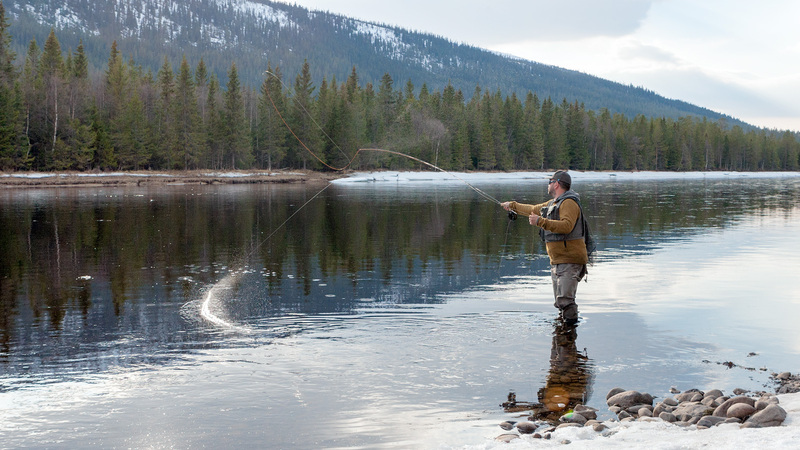 Even though the changing climate is contributing to new and unexpected entries in my diary, I pretty much know when to start and what to tie on. The start of the 2016 season is as it should be. My river – “The Rivendale” – is responding to the sun just like she’s done for as long as I’ve known her. The Rivendale is an early riser. 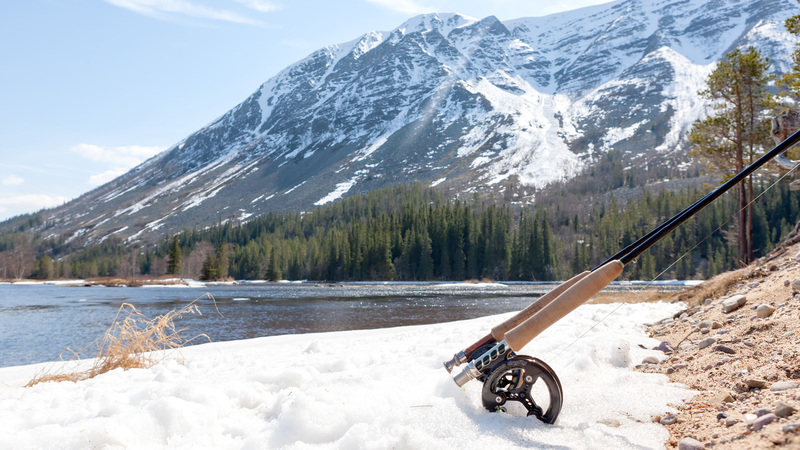 Her water comes from cold glaciers and melting snow in the mountains. Her bed filled with cobblestone and sand that grace her with her stable temperature. She takes long to heat up, but it also takes more than a cold night for her to cool down. The Rivendale is rich with life. All the bugs are present. 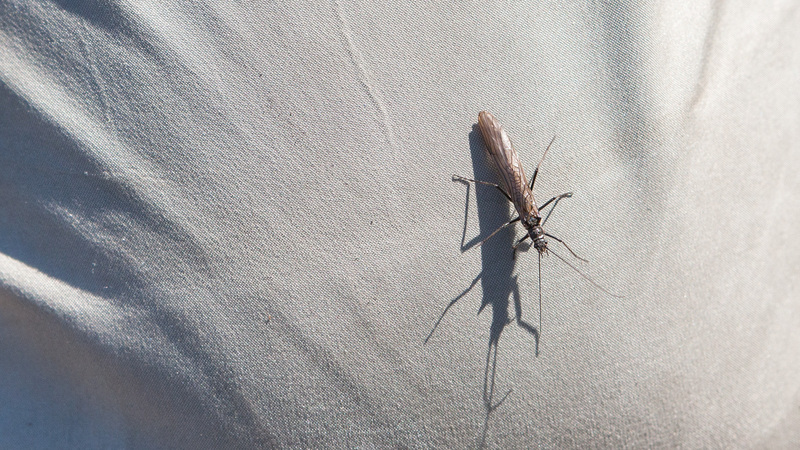 They Stoneflies in april. 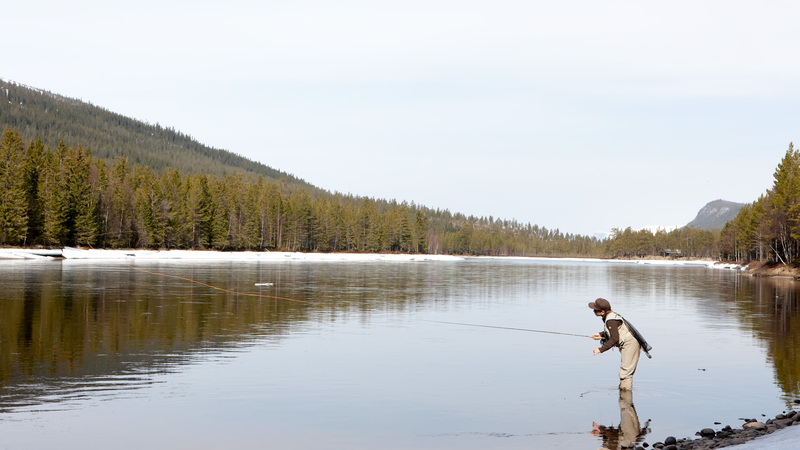 The Caddis in May. 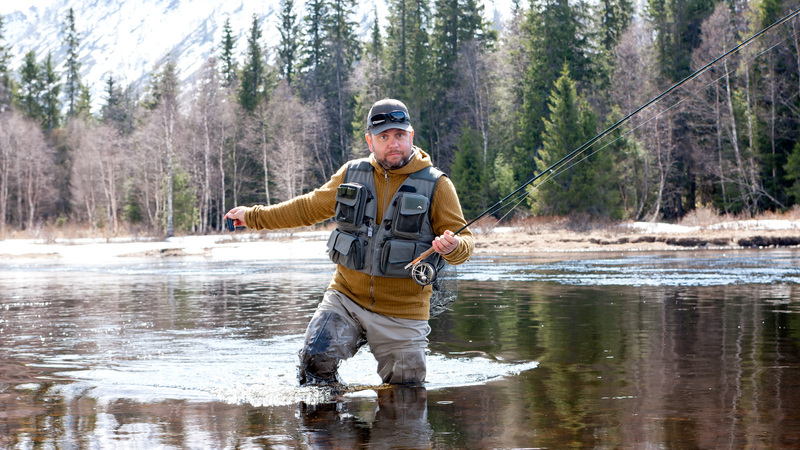 The Baetis in June. The Aroni, Ignita and Danica in July. 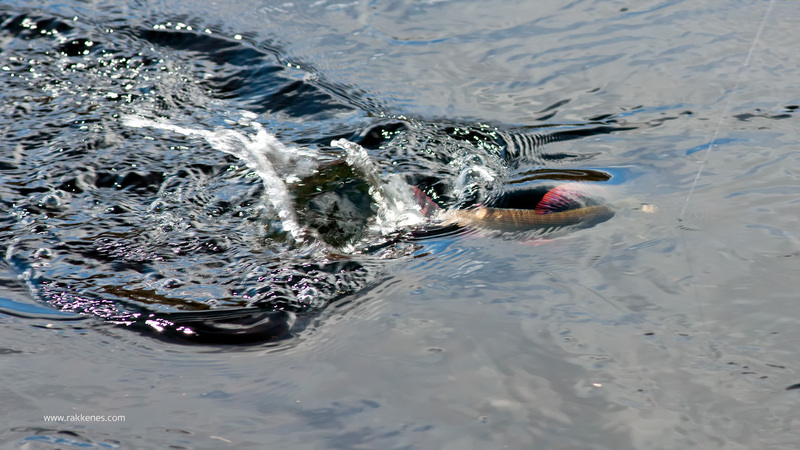 The Gray Drake and yet another Baetis hatch in August. She’s got it all. No wonder the trout and graylings thrive in her custody. 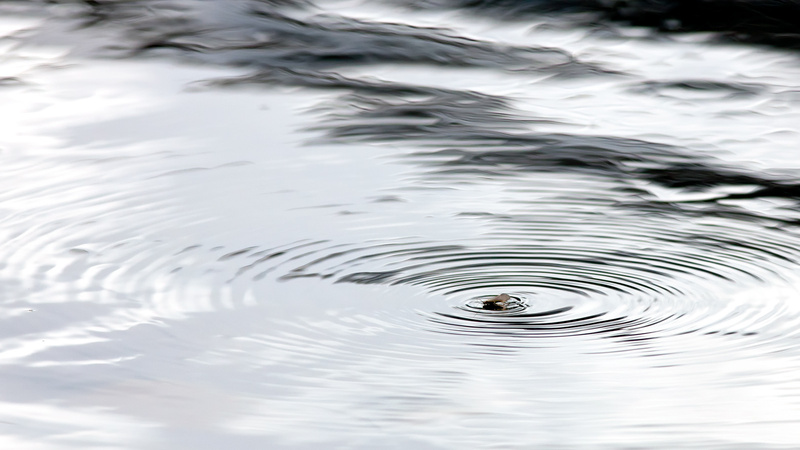 If you know where to look, the river hides treasures. 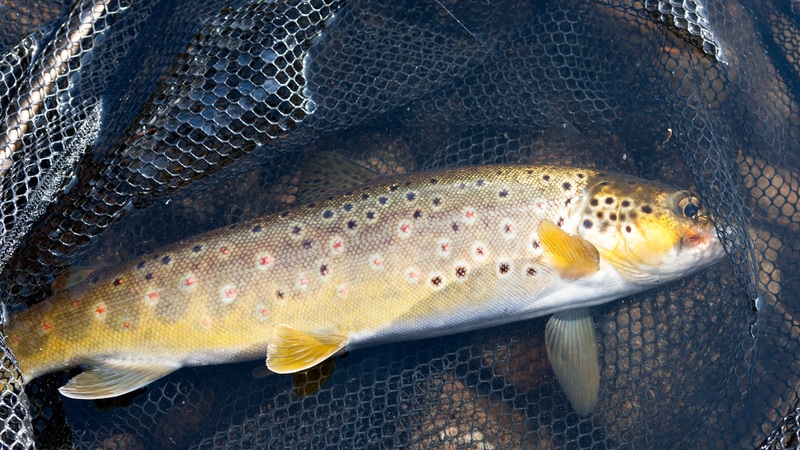 Large brownies and five pound graylings that are willing take a fight with a competent angler and the right fly on his tippet. 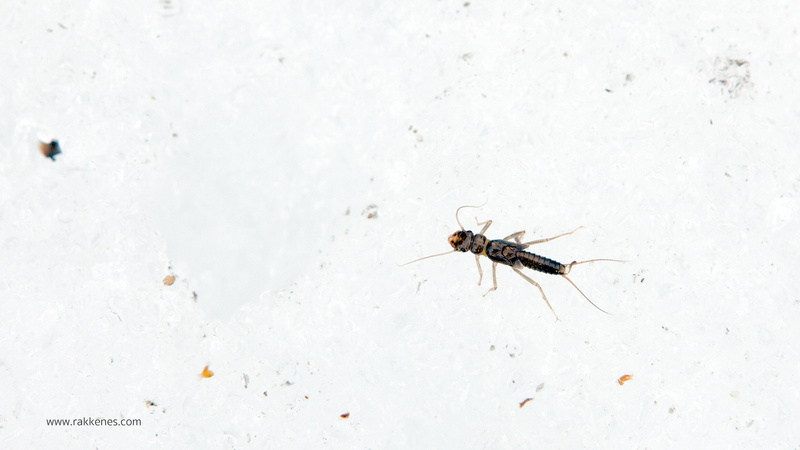 As in any river in Norway, Stoneflies are the first one out. 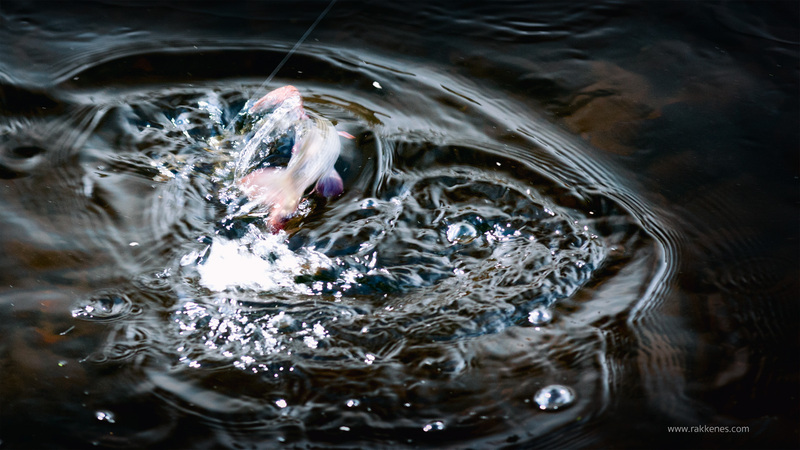 They can give rises, but they are uneven and both trout and graylings are refusing to rise steadily to flies floundering to get to the shore. 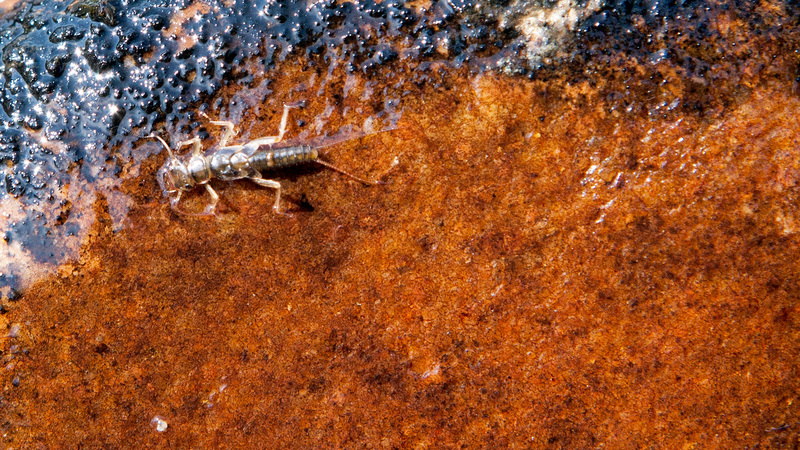 Stoneflies are best fished as nymphs or when they, 2-3 weeks after hatching return to the water to lay their eggs. 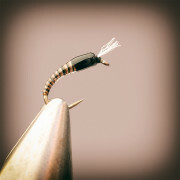 In May this year we had a couple of fantastic weekends with difficult and rewarding fly fishing stoneflies and midge. 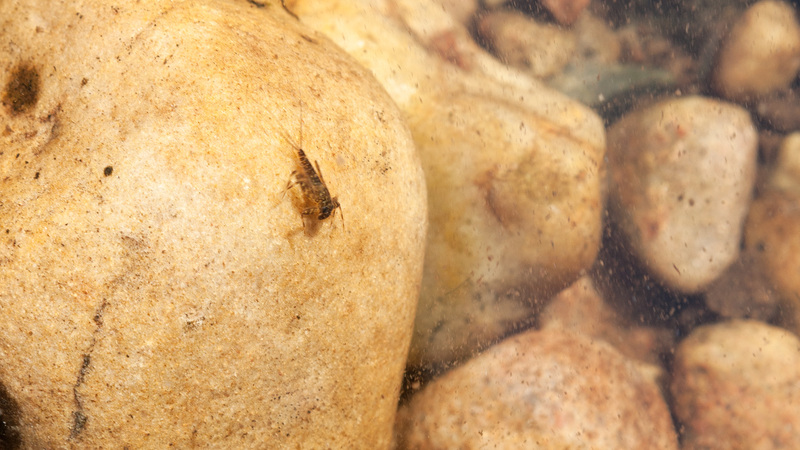 As an extra reward this year, a few good brownies were rising partially steady under the bushes from which the Stoneflies kamikaze dived to lay their eggs. It’s fascinating watching this scene every year. Under the frozen and und un-leafed birches, flies pregnant with eggs dive and splash into the ice cold water. 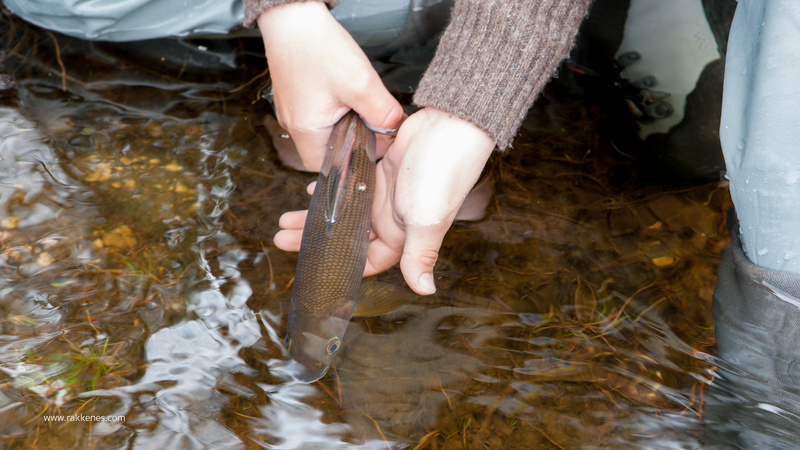 And the trout know it all. They now exactly what to wait for and rise to. 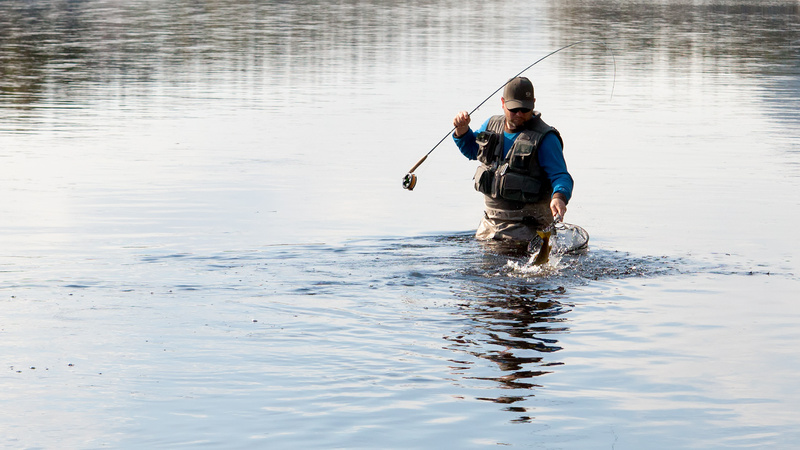 We fish these situations with pretty simple flies. Any F-Fly pattern will do. 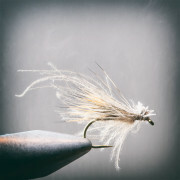 A dubbed body with a CdC wing and a fuzzy thorax made with touch dubbed squirrel creates an interesting imitation that the trout is more than willing to rise to. There’s no need for a soft presentation. 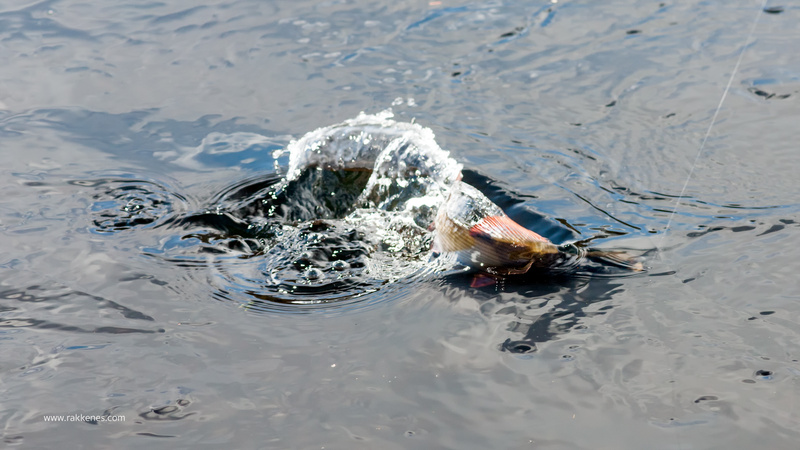 The originals are splashing into the water, and it seems that this behavior attracts the feeding fish. 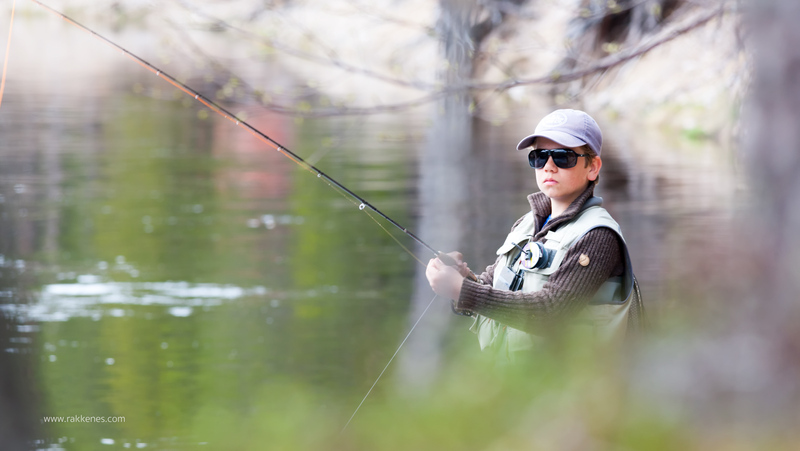 This is really the time to bring your best buddy who wants to learn fly fishing. 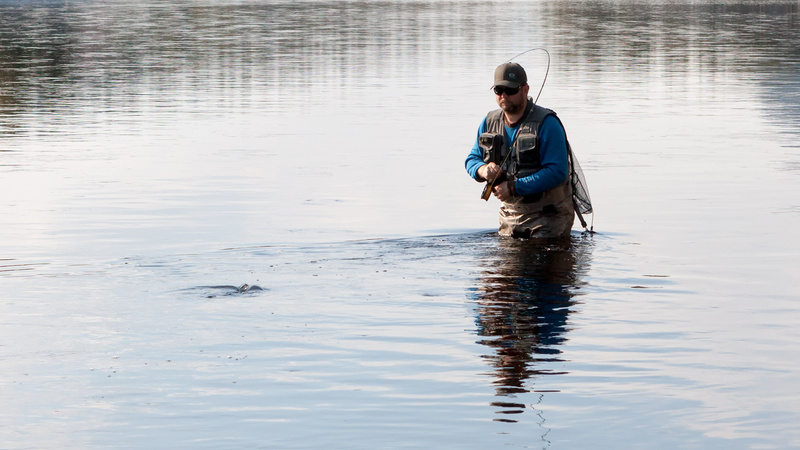 A brutal presentation and a drag free drift with the right fly, is really all it takes to catch the first of the season or the first trout ever on a fly rod. 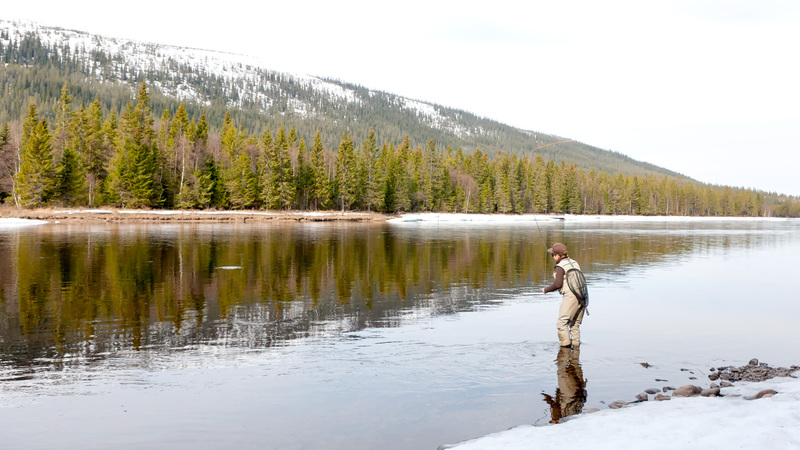 One remarkable fact about this river is that the Caddis come early. Many find it hard to believe, but as early as 17. 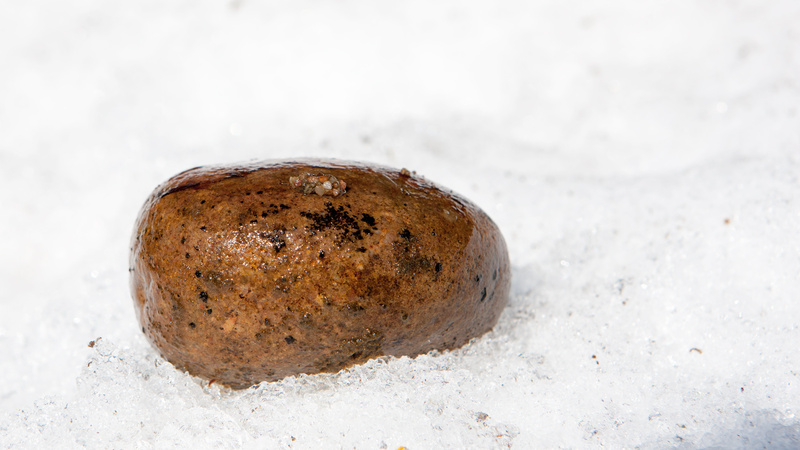 May this year we experienced hatches of small caddis (size 14-16). 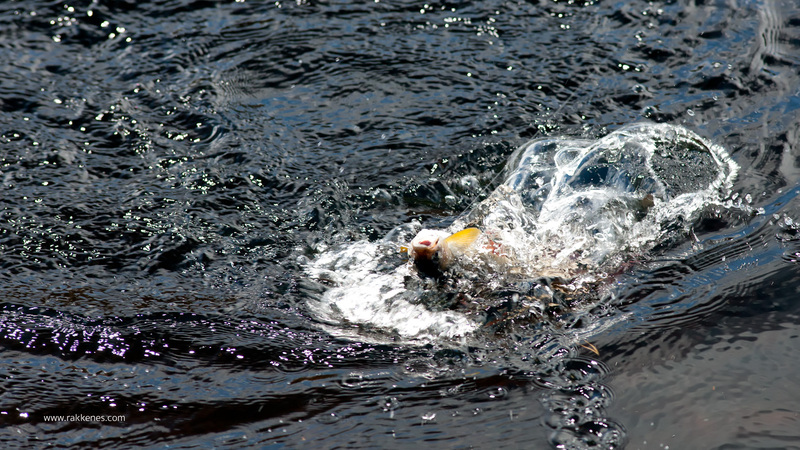 Although the hatches of caddis in periods were heavy, no large trout seemed attracted to the situation at first. I guess they had enough with all the Stonefly nymphs under water getting ready to hatch. 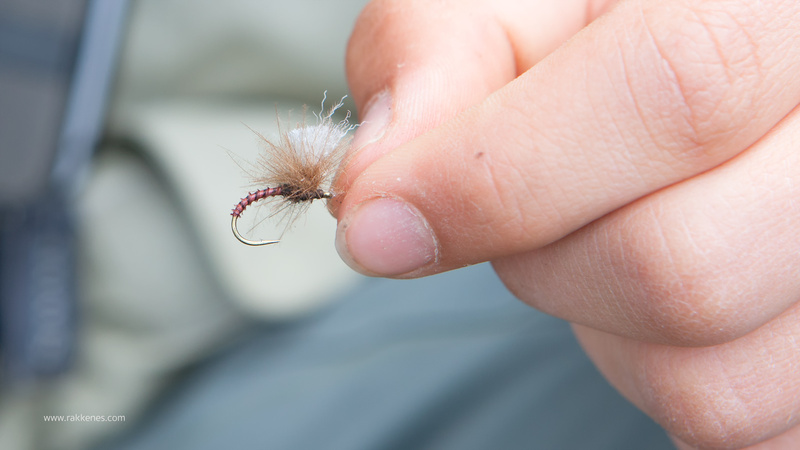 But the super-early Caddis hatch always gets the trout keyed in on those caddisflies. 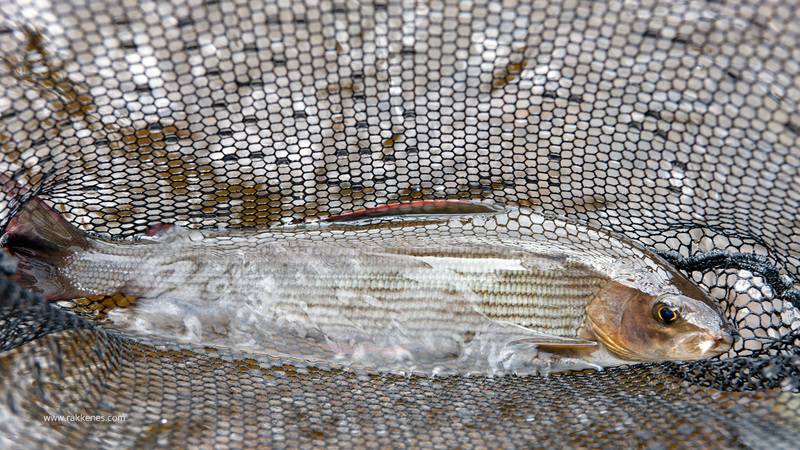 Especially the grayling seems to enjoy feeding on the emerger and the egg laying caddisflies. 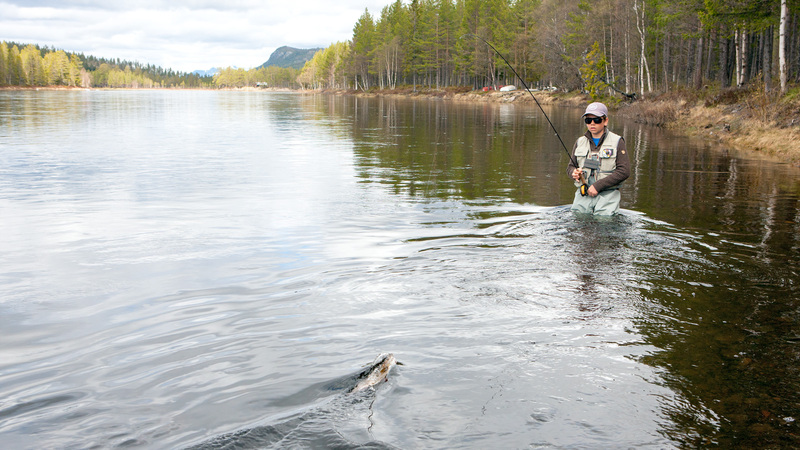 Early in the season one seem to appreciate anything above half a kilo (1,6 lbs). 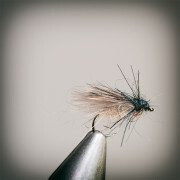 The early Caddis hatch is fished either with a detached body imitation, the CdC & Elk or my own pattern, The Rivendale. A merger of the Europea 12 and the CdC & Elk. 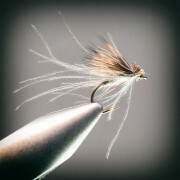 A great variation for the caddis hatch. 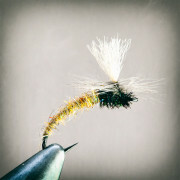 The classic all purpose caddis fly. 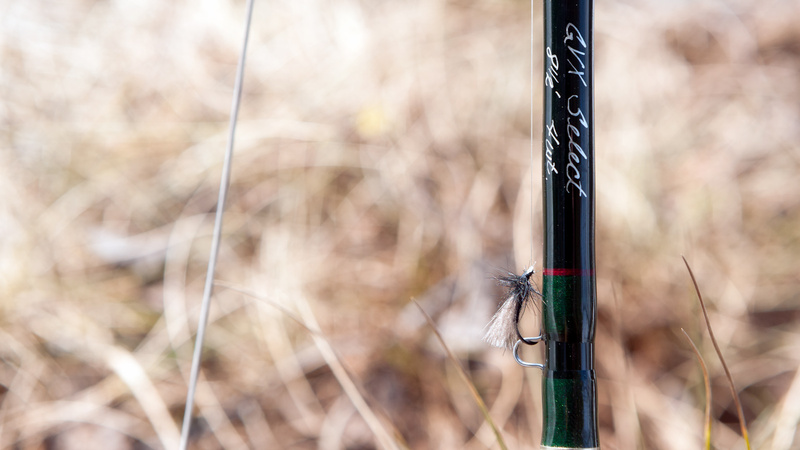 Great for riffles. 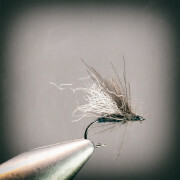 The CdC & Elk emerger variant. 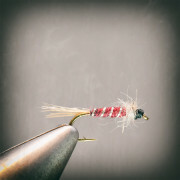 Remember to tie the wings short!